Comedian and television star Joan Rivers, known for her no-holds-barred approach to comedy, has died, her family said in a statement. She was 81. 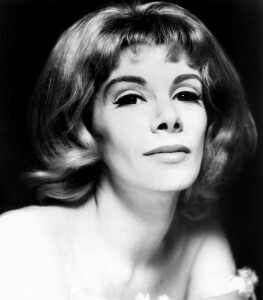 Joan Rivers began a career in stand-up comedy in the 1950s, a time when females were exceedingly rare in the field. She was frank and often self deprecating. She joked about her pregnancy, her mother’s desperate attempts to marry her off and later about her own cosmetic surgery. “Screw kindness. You have to tell the truth, that’s what comedy is all about,” Rivers once said. Rivers became one of Carson’s most recurring guests. Eighteen years later, the comedian accepted an offer for her own late night show on the newly established Fox Network. It was a decision that ultimately ended her friendship with Carson. Though the late night gig didn’t last long, it further cemented Rivers’ position in the entertainment business. She soon landed a daytime talk show that lasted for five years, and earned her a Daytime Emmy. Rivers had been admitted to Mt. Sinai Hospital in New York last week after after she had reportedly stopped breathing while undergoing a throat procedure at a medical clinic. Melissa said in a statement that her mother died peacefully surrounded by family and close friends. “My mother’s greatest joy in life was to make people laugh. Although that is difficult to do right now, I know her final wish would be that we return to laughing soon,” the statement read. My heart is torn in half. Jenny Marder contributed to this report.